"Working Wealthy" move away from the city to live a pampered life at the Lauren, one of Bethesda’s newest and costliest new condominiums. 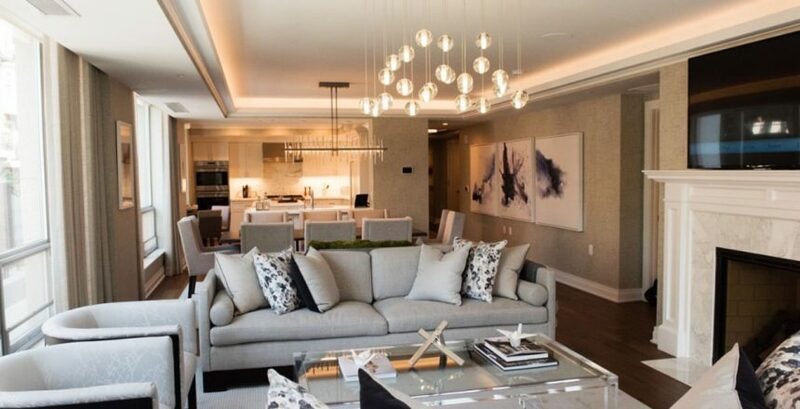 Instead, you could be living a pampered life at the Lauren, one of Bethesda’s newest and costliest new condominiums, developed by 1788 Holdings and Persimmon Capital Partners. chose the building because of its prime location within walking distance of the Bethesda Metro station, a library, shops and restaurants. The Onyx Lounge on the lower level of the Lauren, designed by Akseizer, has a backlit slab of onyx behind the bar, an onyx-topped table for eight and herringbone-patterned wood flooring. 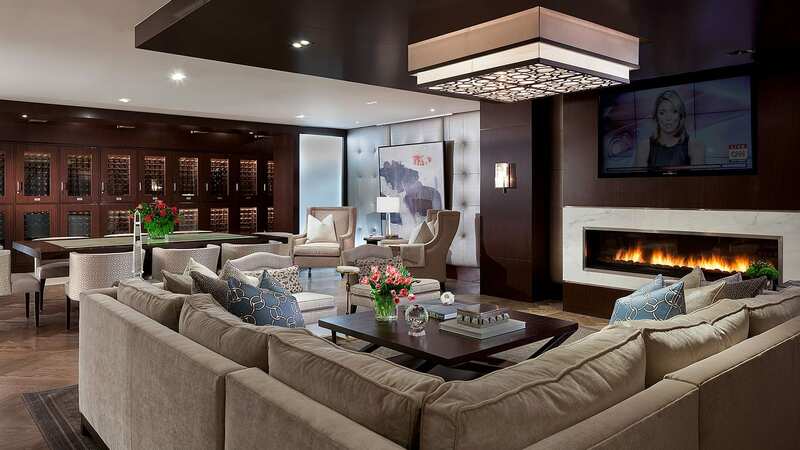 Residents can reserve the lounge for private entertaining, which has an adjacent catering kitchen. The wine program at the Lauren includes the services of Jarad Slipp, a master sommelier and estate director of RdV Vineyards in Delaplane, Virgina. Each homeowner has a wine locker with racks for 50 bottles and can consult with Slipp about wine collecting. Quarterly wine tastings are held in the lounge. The Lauren’s roof deck, inspired by the outdoor lounge (“Rodeo Terrace”) area of the Four Seasons Hotel in Beverly Hills, Calif., has seven seating areas and four wet bars, shaded by pergolas with granite piers. This area also includes a catering kitchen and restrooms. The other side of the roof has been divided into seven private decks, each with a wet bar, that come with units on the fifth, sixth and seventh floors. Lauren residents can enjoy hotel-style room service from one of several restaurants in the area, delivered by the concierge staff at the condo. The Indigo Rewards program for homeowners entitles them to discounts and services from businesses that have partnered with the Lauren, such as Bethesda Florist, Equinox Bethesda, Pottery Barn, Super Cleaners, Urban Country, artisanal oil and vinegar store Secolari and grocery delivery service Relay Foods. Restaurant partnerships include Kapnos Kouzina, La Madeleine, Mon Ami Gabi, Mamma Lucia, Nando’s Peri-Peri, Redwood Restaurant and Bar and Silver. 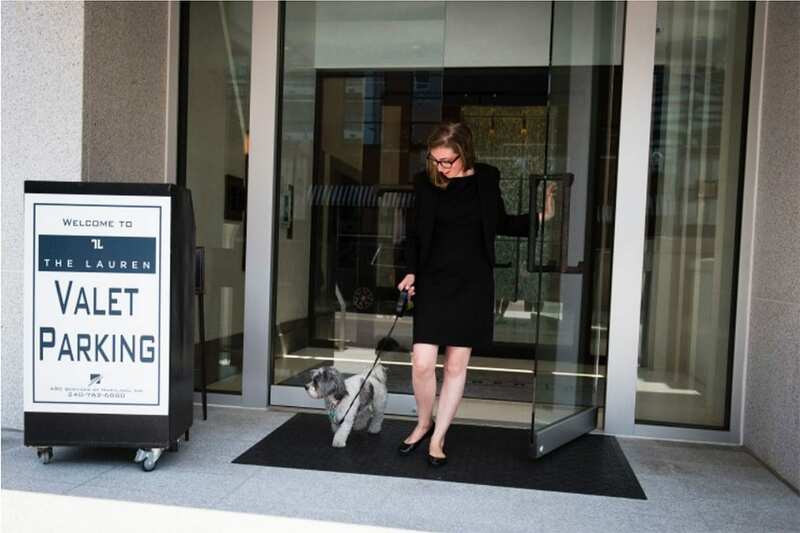 In addition to delivering meals, the concierge staff can arrange housekeeping services, personal catering and chef services, pet sitting, event planning, appointment scheduling, gift coordination, travel bookings and shipping and delivery services. The “While Away” program takes care of units while the owners are out of town, cleaning out their refrigerator when they leave, watering plants and restocking the kitchen before their return. The concierge can take care of car appointments and meet contractors for maintenance appointments. Swedroe Architecture, known for designing luxury residential buildings with direct elevator access to each unit, routinely places the master suite at the opposite side of the unit from other bedrooms for privacy. At the Lauren, 70% of the units have Direct Elevator access into a private foyer with marble flooring and space for a console table. These private foyers have a front door into the unit and a second door to a hallway with access to stairs and a building elevator in case the private elevator is out of service. The Great Room includes a gas fireplace with built-in shelving and cabinets and access tot he terrace. Nearby is the master bedroom suite, which has two walk-in closets. 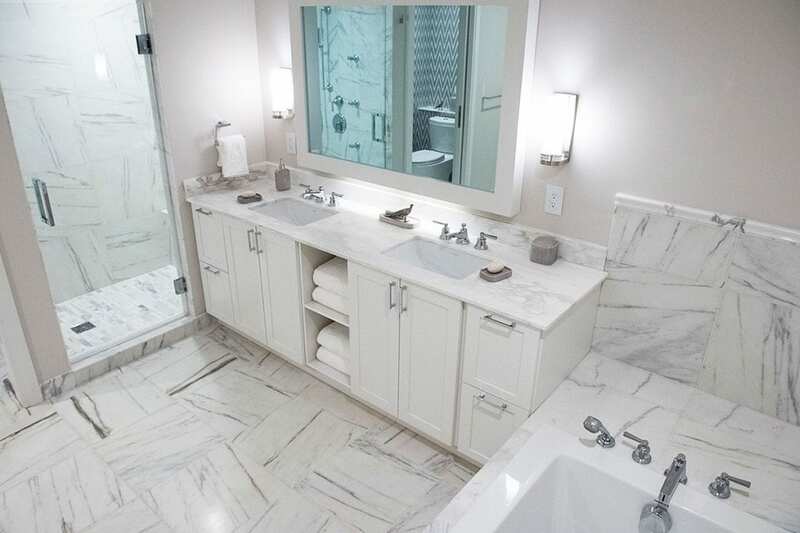 The master bathroom has a TV screen hidden in the mirror, a standard feature at theLauren; marble flooring and double sinks. This unit also has an office with a Juliet balcony and a built-in desk, a second bedroom with a private full bathroom and a laundry room with a sink.